Buster Sword-wielding Cloud takes on Sephiroth. The 68th annual Sapporo Snow Festival kicked off in Sapporo, Japan today, and a massive, Final Fantasy VII-themed snow sculpture is one of its main showcases. The sculpture, titled “Decisive Battle! 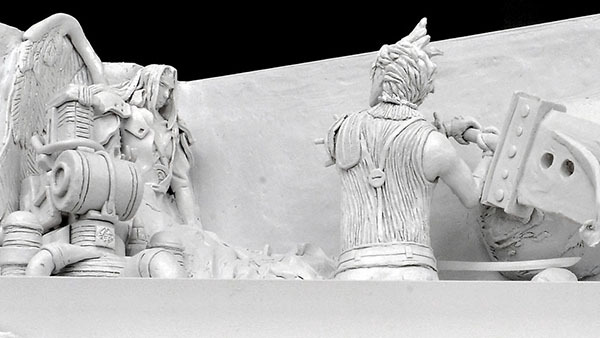 Final Fantasy in Snow,” depicts Cloud fighting against Sephiroth, and features an original 3D projection mapping of images from Final Fantasy VII: Advent Children and the upcoming Final Fantasy VII Remake. The Sapporo Snow Festival runs until February 12.